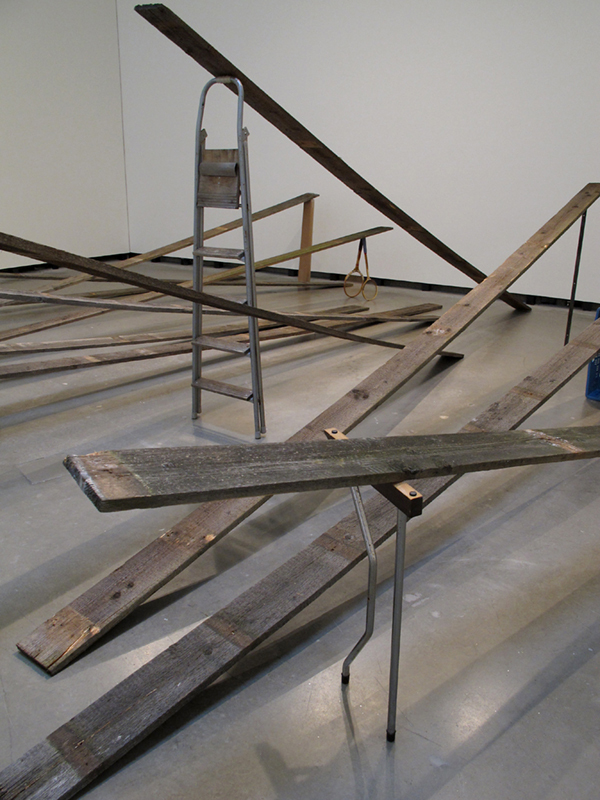 On the Up Down is an installation comprising an arrangement of reclaimed scaffolding planks, each lifted off the ground with the aid of a different found object placed underneath it. 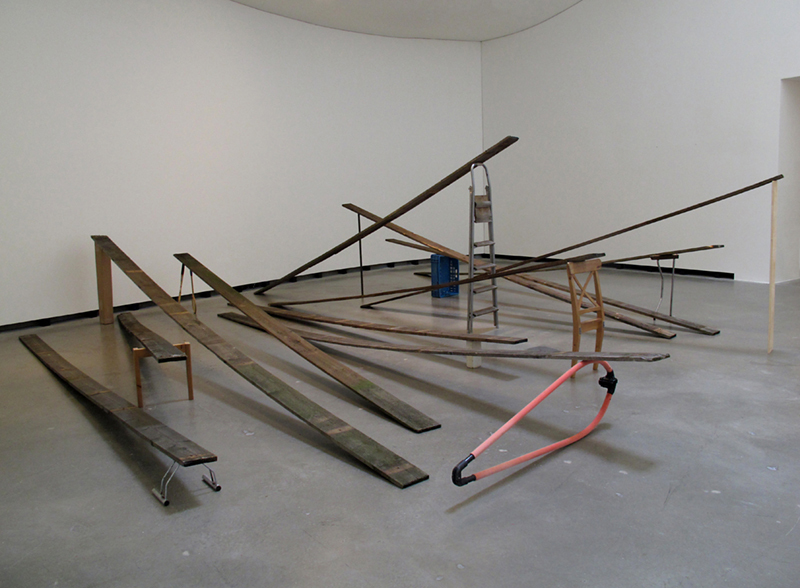 Items used as prompts for the planks include remnants of recognizable objects (a back of a chair, a leg of a table, a ladder) as well as the more abstract materials (wooden board, metal rod, a bundle of cardboard). Many of them are items that in their everyday context serve a supporting function; however, here they appear in a partial, severed, or broken state and as such, their status as reliable structural supports is heavily compromised. 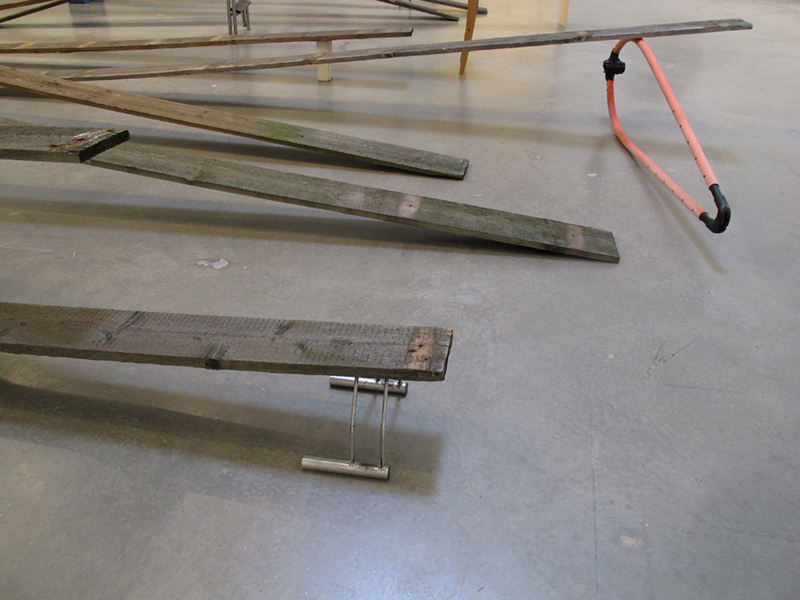 At the same time, the installation engages the material properties of its elements by working against the expected function and materiality of wooden planks: as basic structural elements associated with building and construction, they are usually employed for their strength and sturdiness, but here they are placed in a spatial economy that is provisional, makeshift and apparently unstable. Consequently, the arrangements of planks and objects appear here as either sketches or proposals for possible constructions – or else as ruins – rather than solid and permanent structures. Put together without any glue or nails and connected instead using principles of leaning, prompting and stacking, all the objects in On the Up Down are held precariously in balance, as though caught on the verge of collapse. 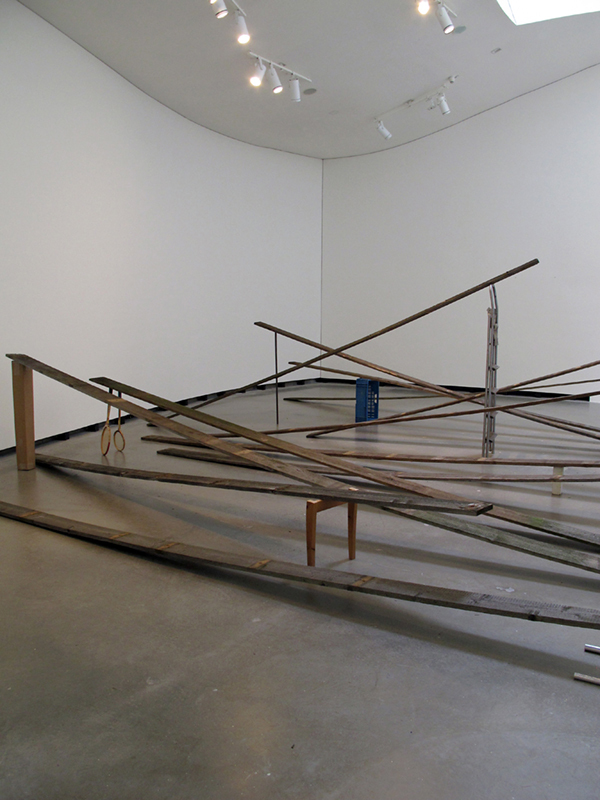 The wooden planks, held up in midair at different heights, crisscross the space they occupy at different angles, creating a playful and confounding field of diagonals. 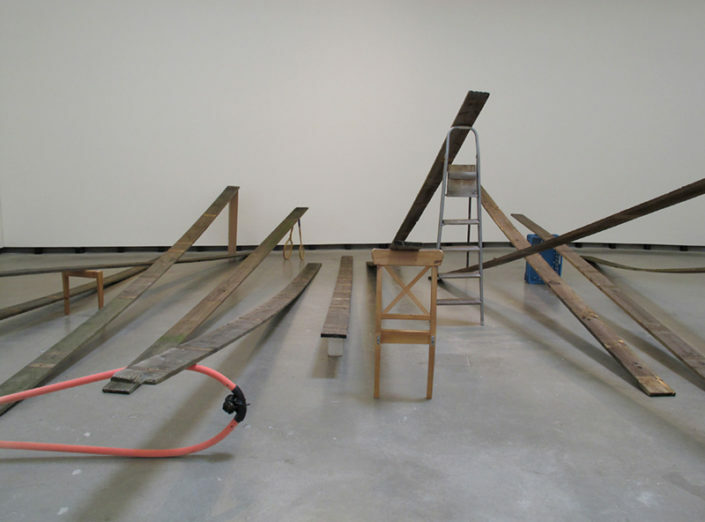 With its jumbled play of upward-downward lines, energies and movements, the installation evokes a playground, its diagonal boards reminiscent of ramps, slides and see-saws. 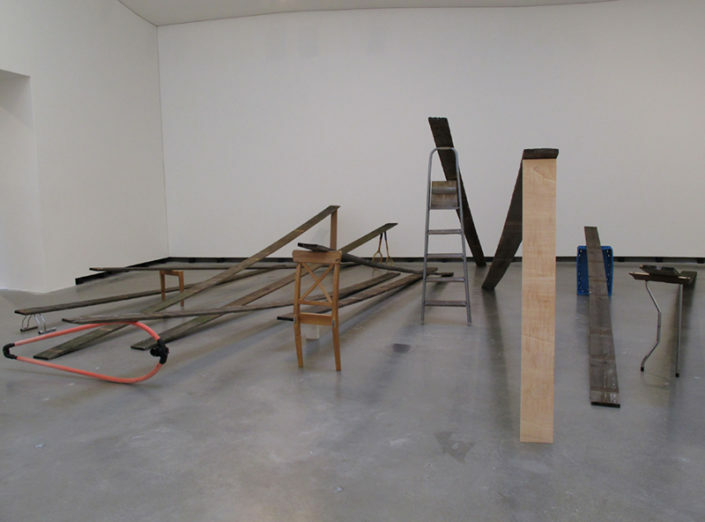 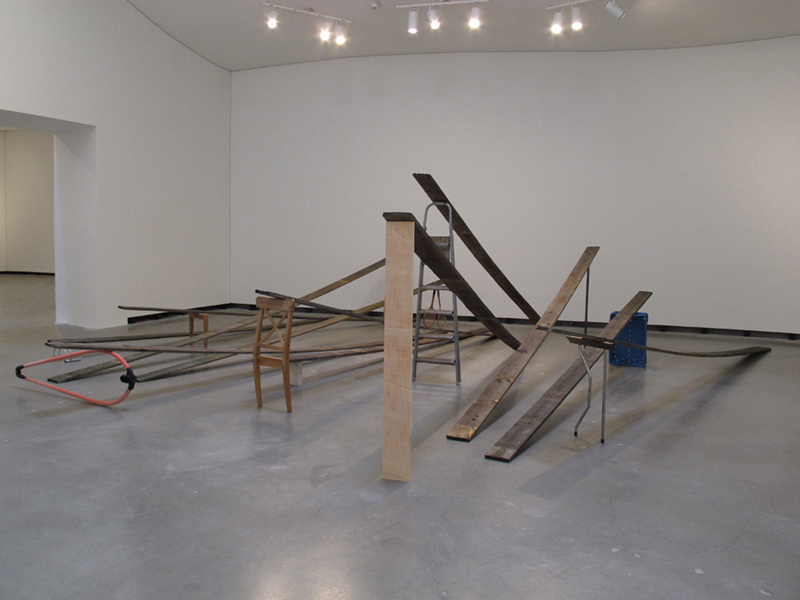 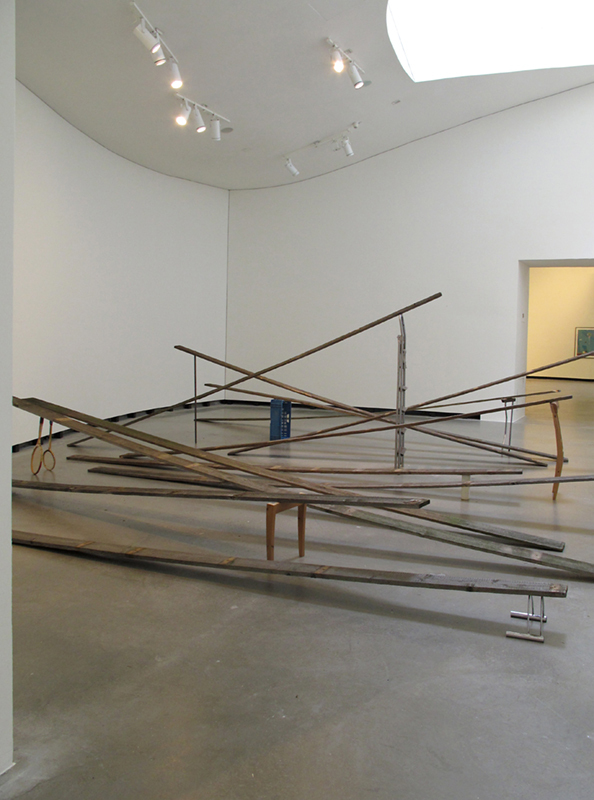 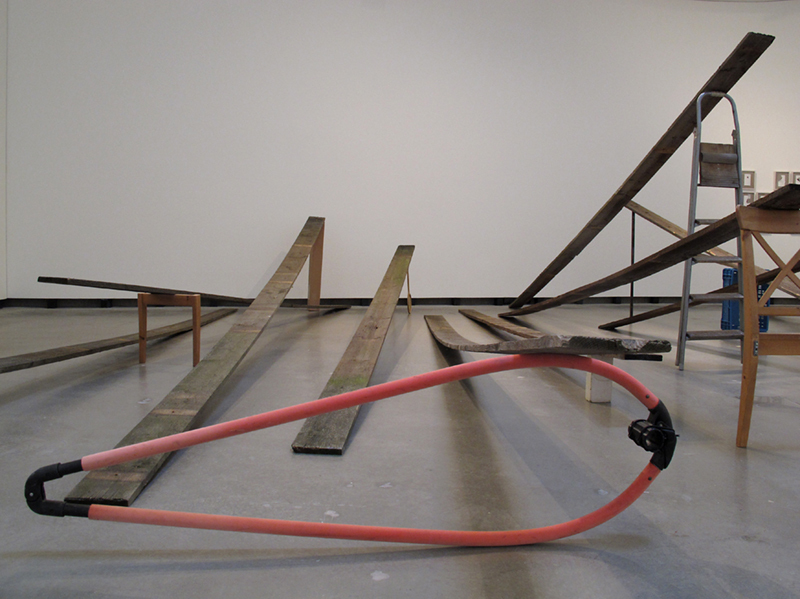 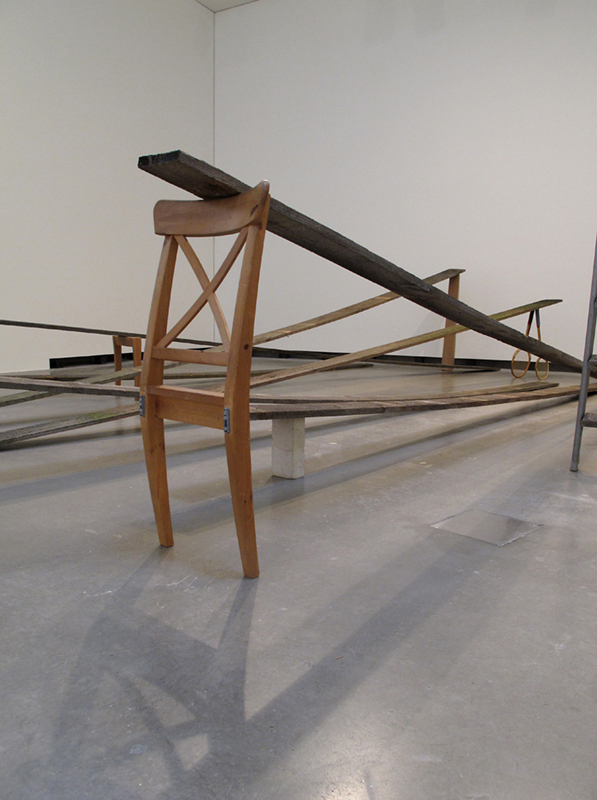 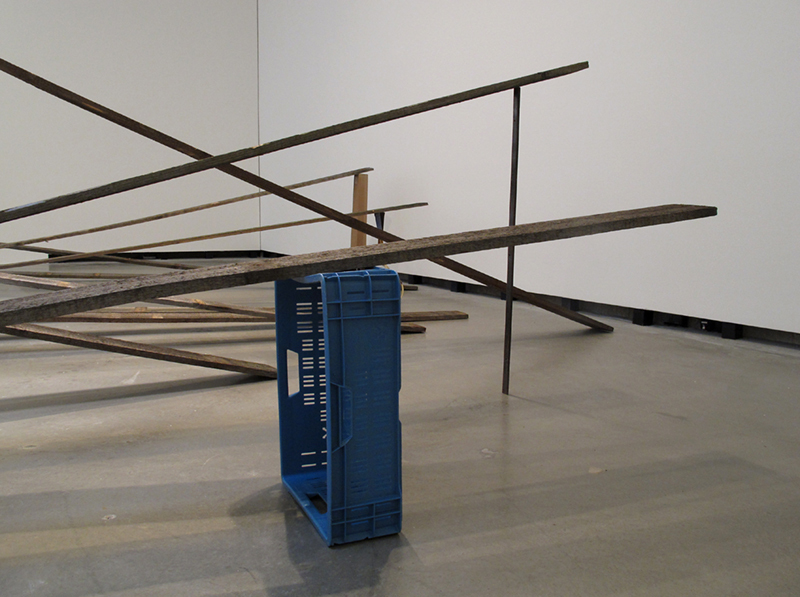 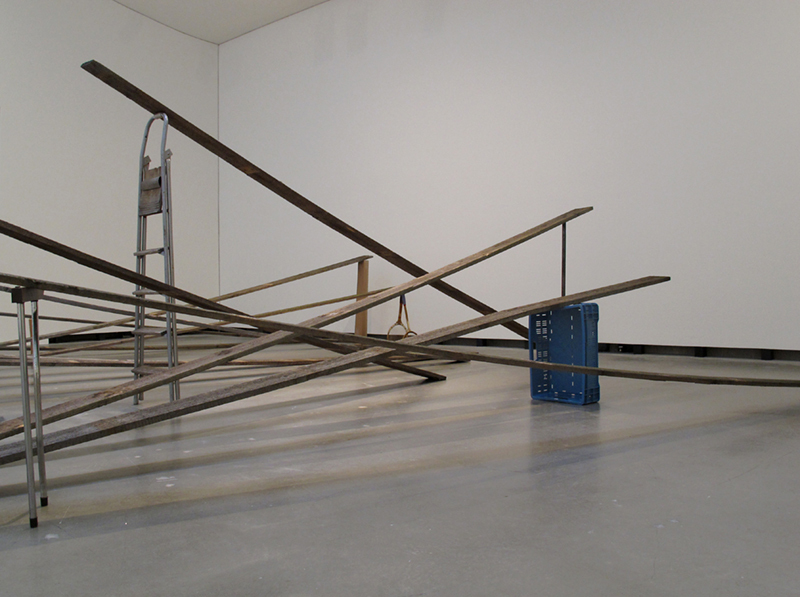 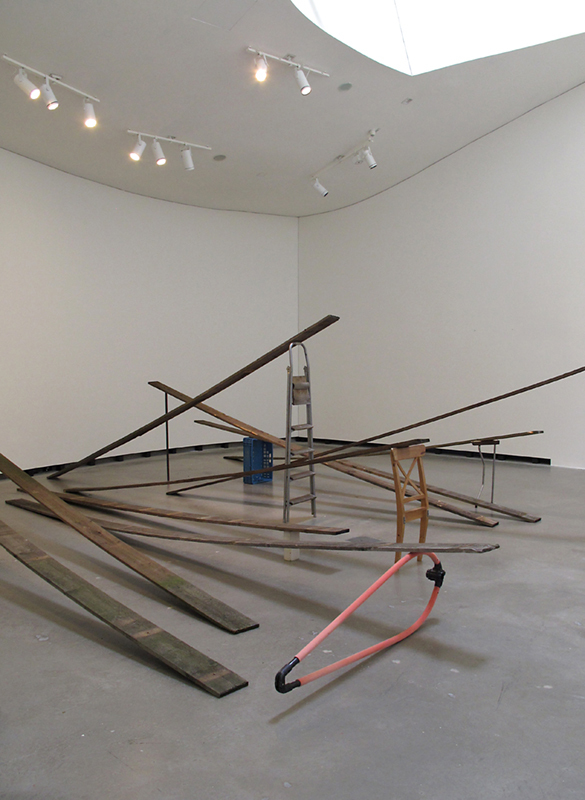 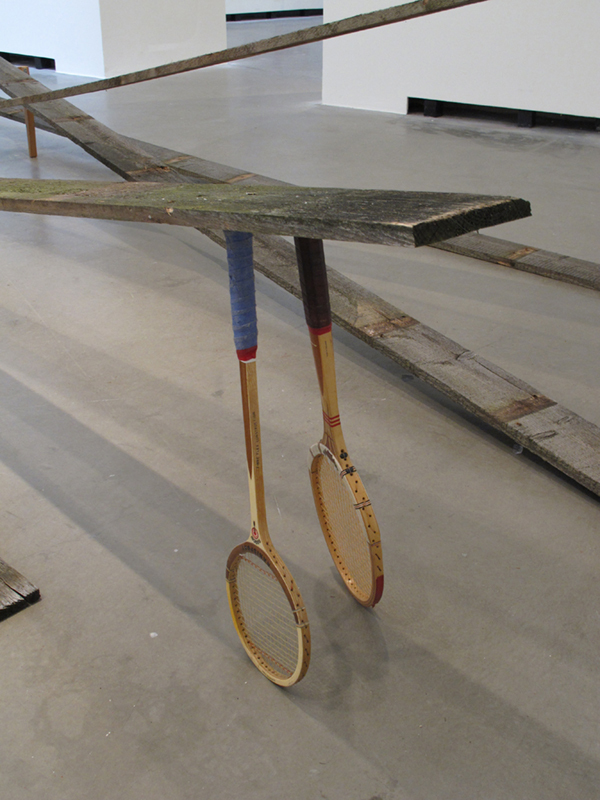 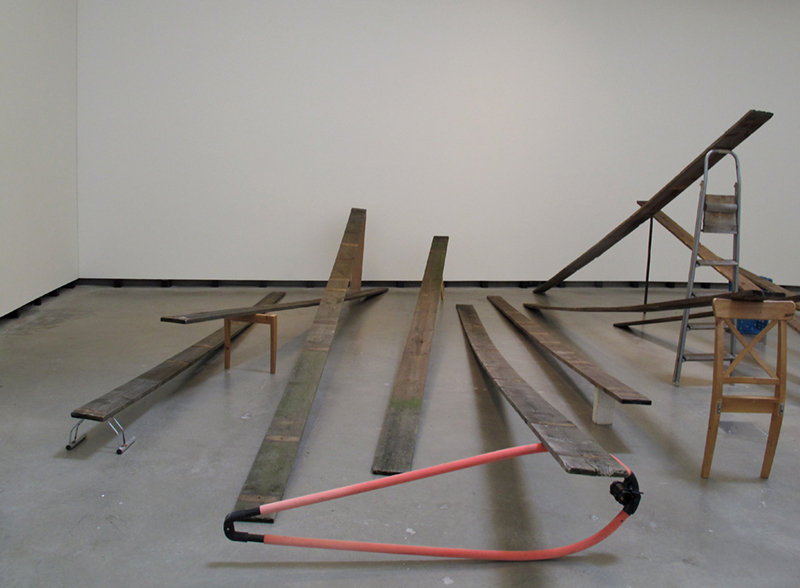 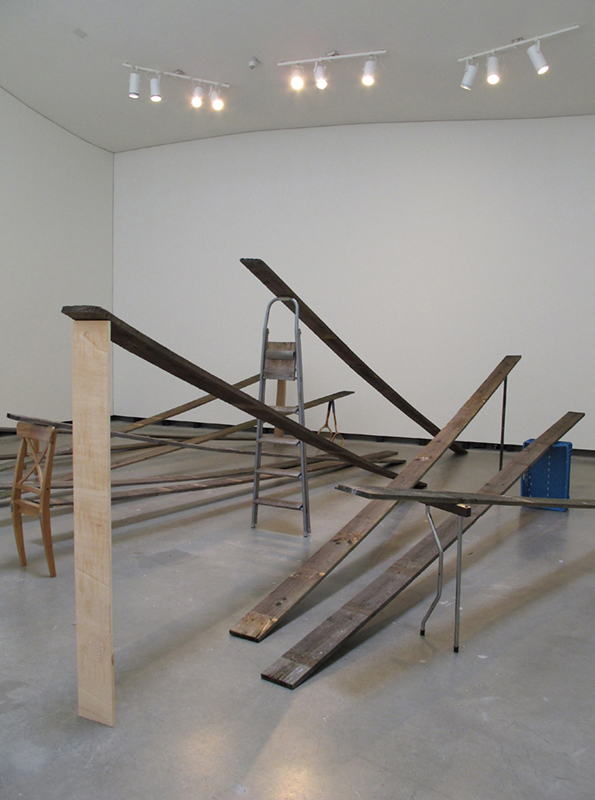 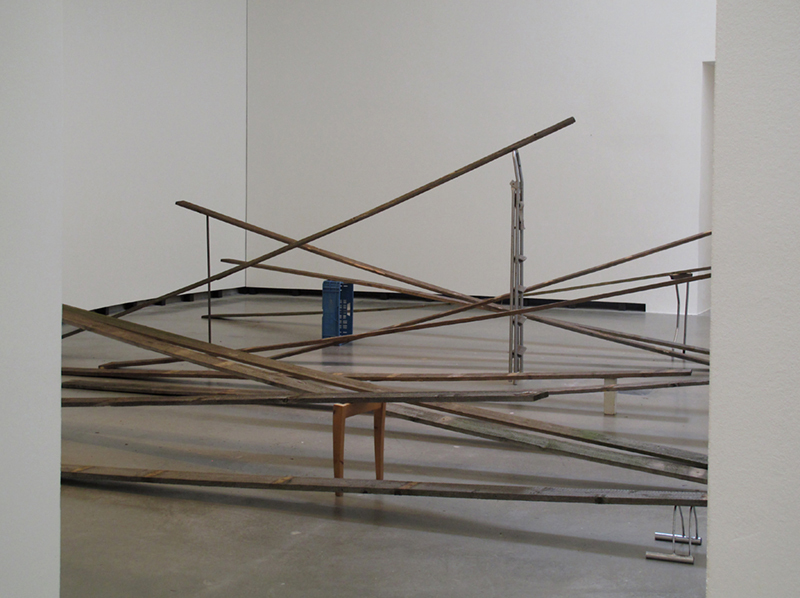 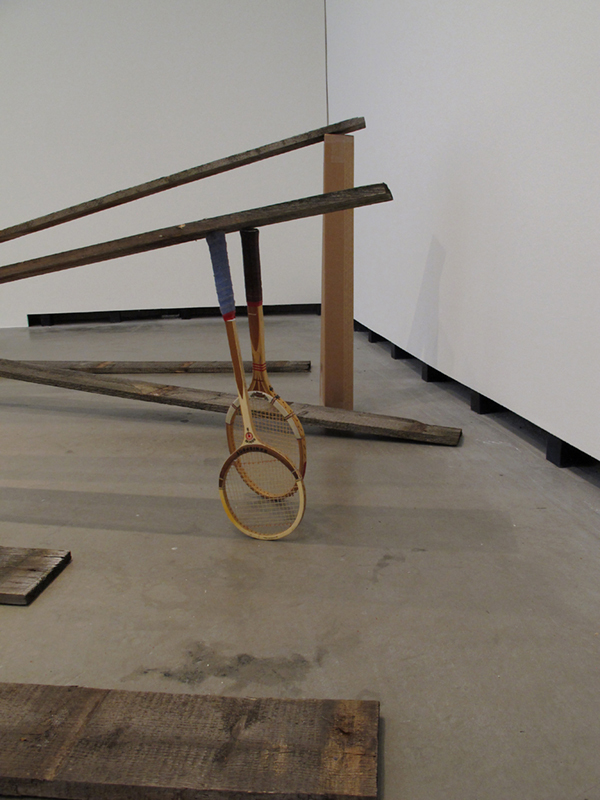 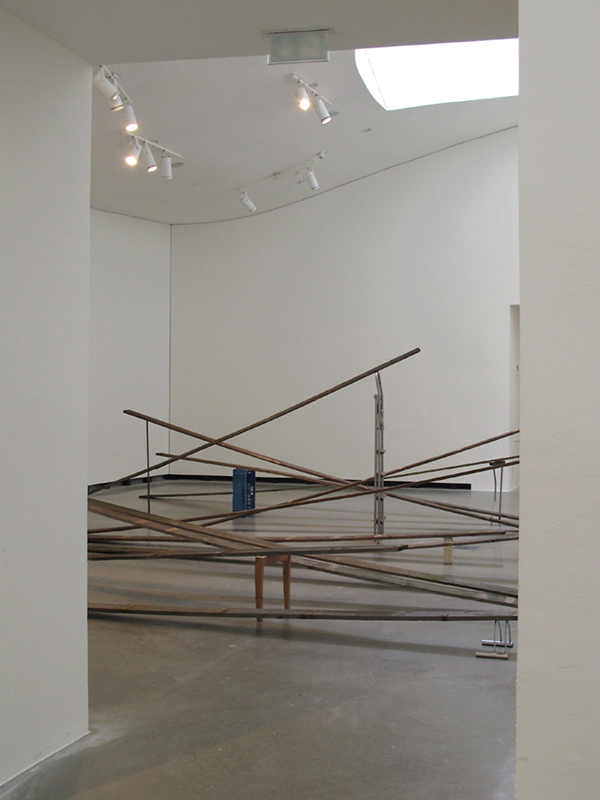 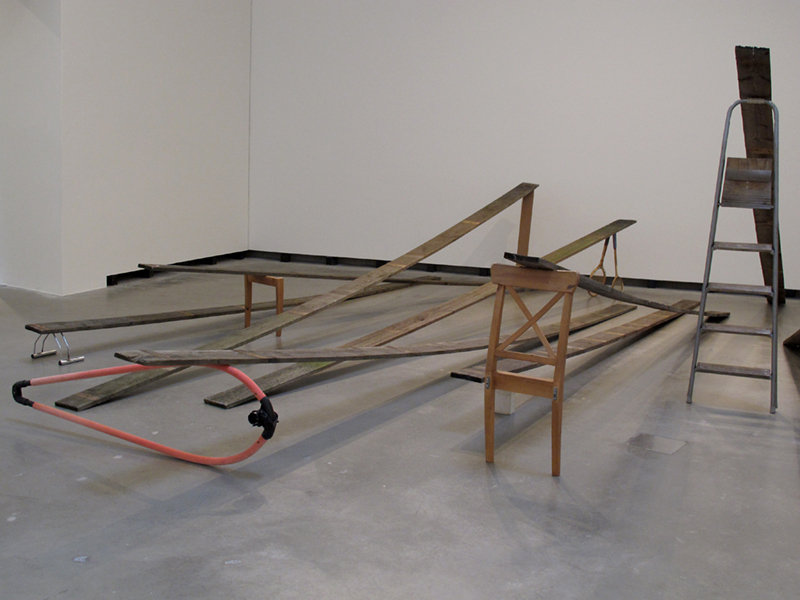 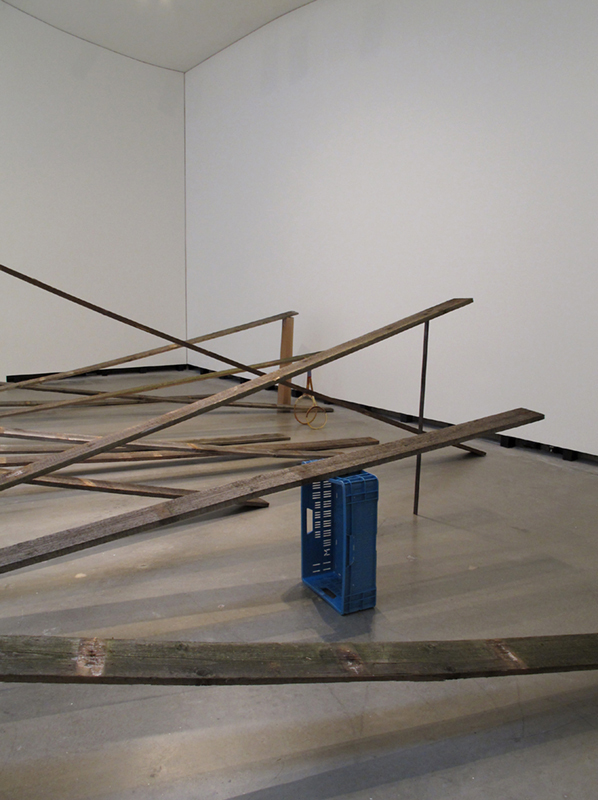 At the same time, the tension that exists between the planks and objects precariously holding them raised in midair foregrounds the more psychological and existential strivings of human beings – a certain desire to be lifted off the ground – as well as capturing the shifting dynamics of ups and downs, ascents and falls that characterizes our lived experience.